If you’ve accidentally landed on our Hawaii Marketing Tips blog while searching for Team Vision Marketing, please visit our homepage, creative portfolio or client video testimonials to learn more about us. If you’re interested in learning more about our Top Instagram hashtag tips, please continue reading. 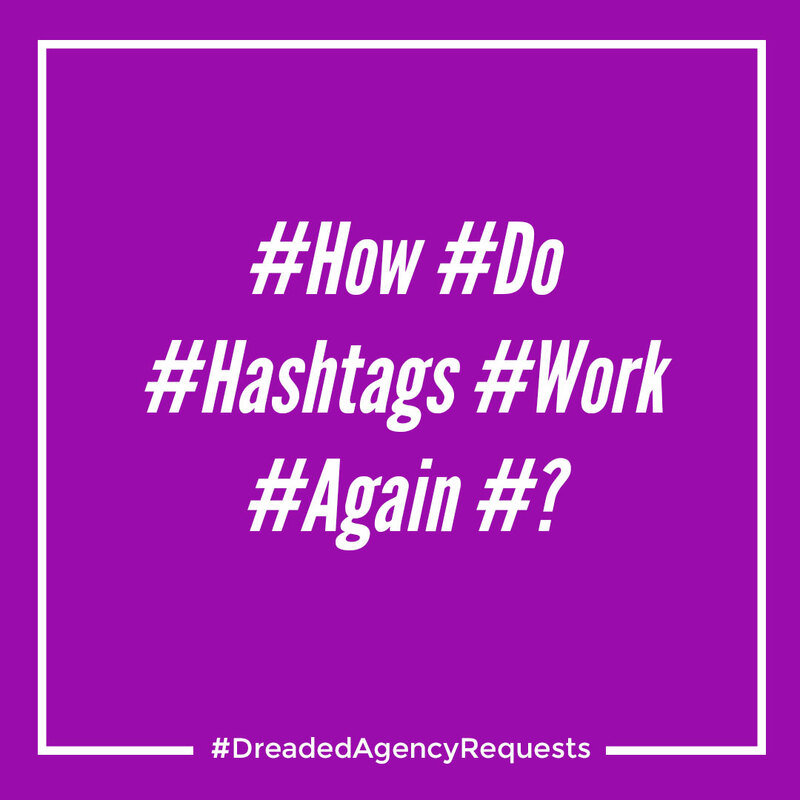 Hashtags get a bad reputation for being a nuisance, but they’re still a valuable social media marketing tool. With the right strategy, hashtags can generate new leads, create more views on posts, attract new followers, and strengthen your brand. 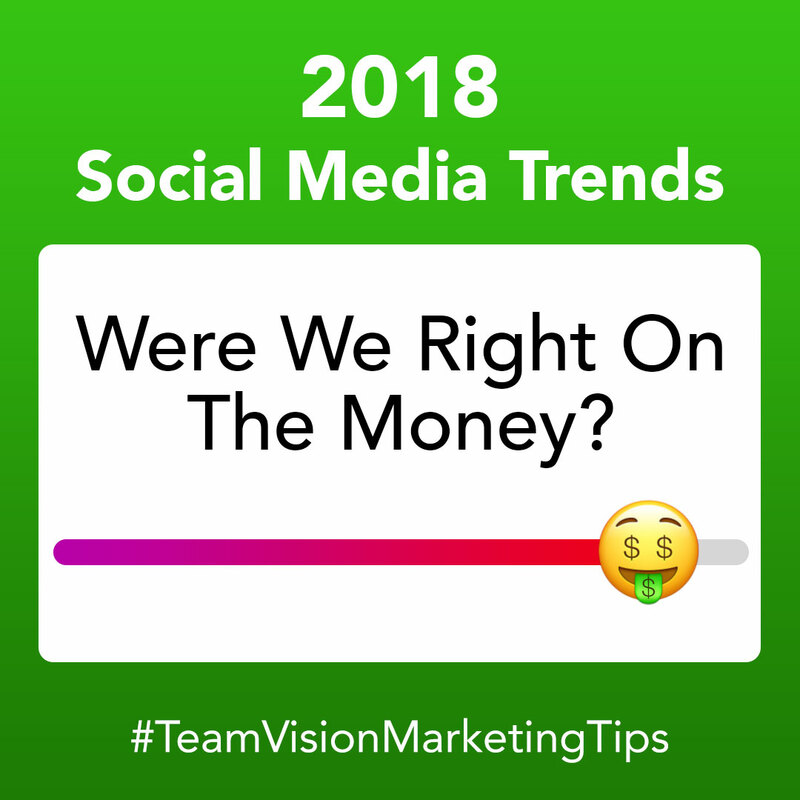 We should know, over the years, Team Vision Marketing has managed social media profiles of some of Hawaii’s top brands, including Dole Plantation, Castle & Cooke Hawaii, Honua Kai Resort & Spa, Ke Kailani, and many more! 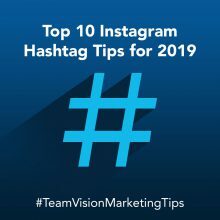 Here are our Top 10 hashtag tips based for 2019. 1. Don’t use irrelevant hashtags. 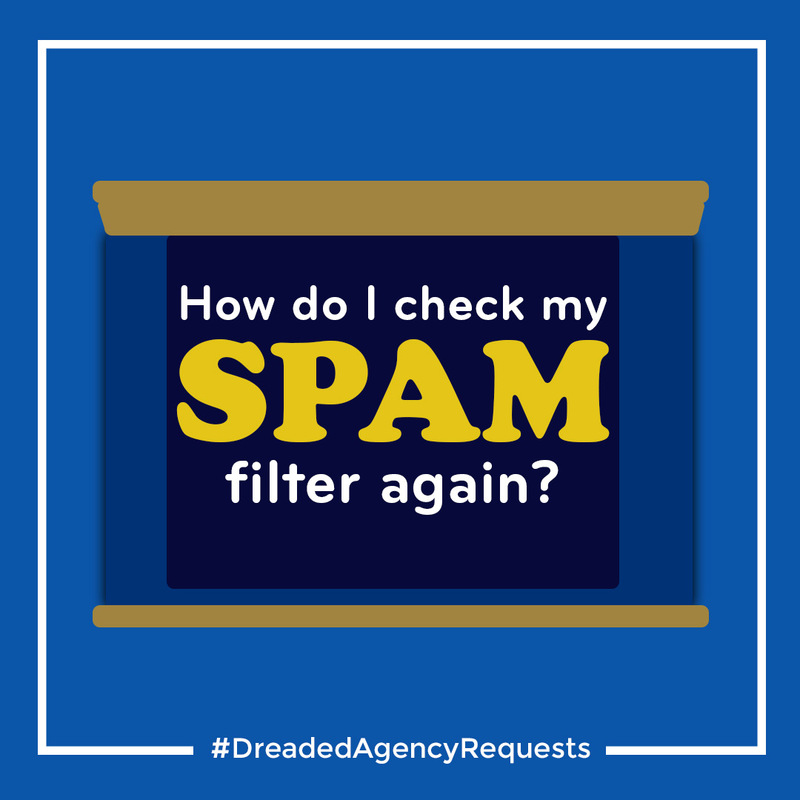 Social media apps can flag profiles that don’t use relevant hashtags on their post as spam or a nuisance. 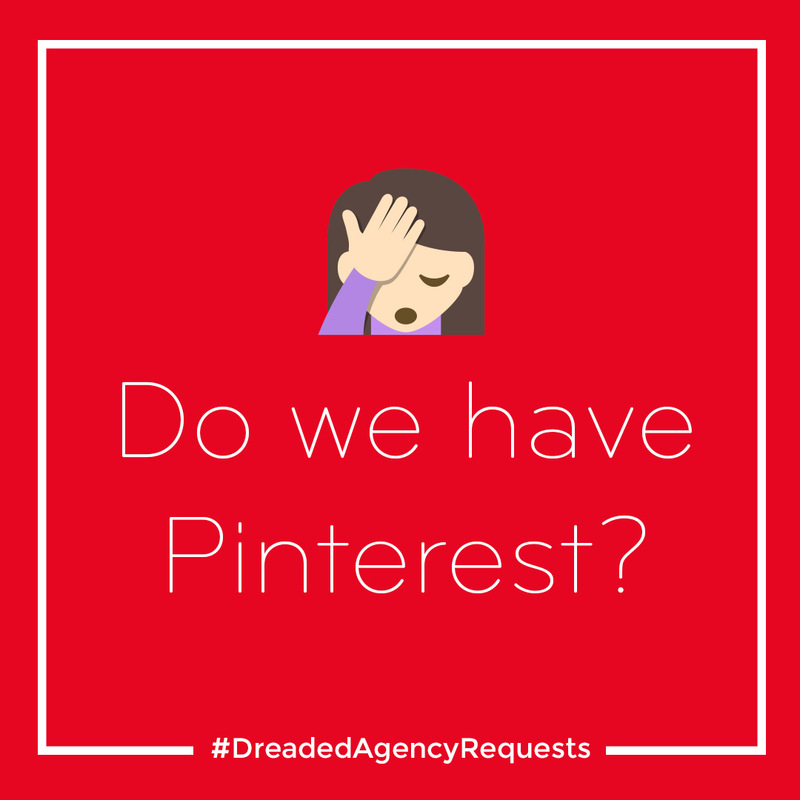 Users can hide your post, unfollow you, or report your posts, which can negatively affect your presence on your follower’s feeds. Make sure your photo/video and caption are optimized for the hashtags your brand plans on using for each post. 2. Find your magic number. Team Vision recommends that you experiment to find the magic number for your brand. We’ve found on our Instagram channel that between 11-30 hashtags work best to attract new Followers and Likes. Just remember that the maximum hashtags brands can use on Instagram is 10 for stories and 30 for posts. Twitter recommends using up to two hashtags and Facebook recommends keeping your hashtags simple. 3. Find your brand’s top hashtags. Look through your brand’s top performing posts and compare which hashtags performed the best. Experiment with using different hashtags and see which ones generate the most new Followers and Likes. Also, make sure you search for hashtags you use in your posts to review the types of content others are posting using the same hashtag. This will help you better understand the quality and type of content people are looking for when they follow a specific hashtag. 4. Try out the 10/10/10 rule. The 10/10/10 rule translates to 10 location hashtags, 10 broad hashtags, and 10 specific hashtags. 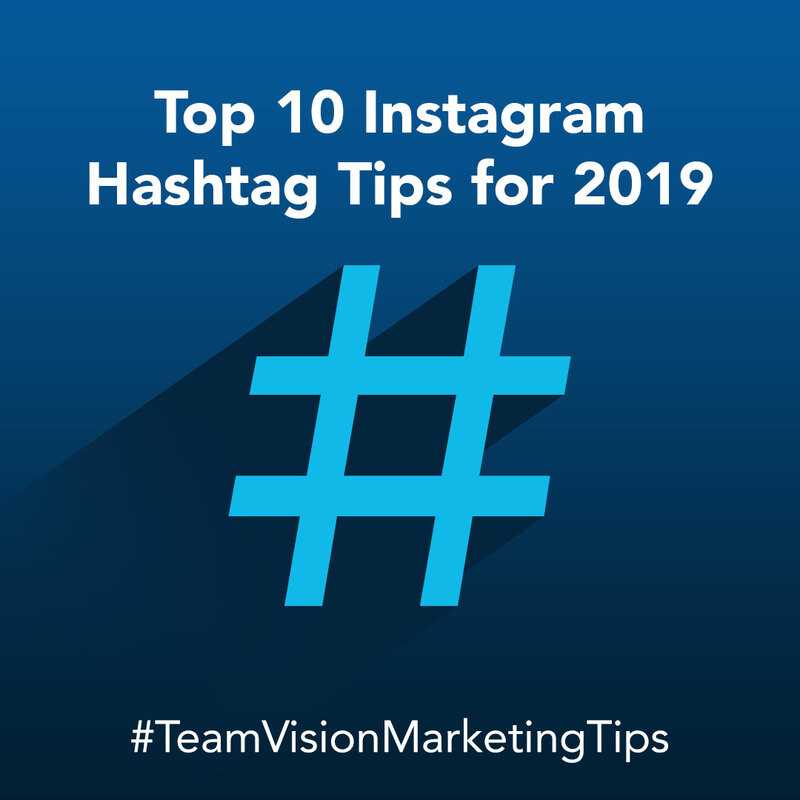 Team Vision recommends mixing broad and specific hashtags because broad hashtags attract the views and specific hashtags attract new followers by targeting your posts to the right audience. You can check how broad or niche a hashtag is by typing it into the search bar in the Explore tab. A dropdown section will show how many posts have used it and related hashtags. Adding location hashtags helps brands connect with their local market. One hashtag, like #Hawaii, might be too diluted. So, try using a related hashtag, where your post might have a better chance of getting discovered. When you type a hashtag into the search bar in the Explore tab, a dropdown section will show how many posts have used that tag and suggest other related hashtags. You can also find related hashtags on hashtag pages (see image below). 6. Check out which hashtags the competition or influencers are using. Why not? Take inspiration from their most popular posts to see which hashtags or number of hashtags are working best for them. Then integrate some of those into your hashtag strategy. 7. Follow the top hashtags you use. See who else is using the hashtags you frequently use and determine what kind of posts are using it. This might help inspire your content creation or give you an idea for a new campaign. 8. Experiment with emoji hashtags. For now, Instagram is the only major social media platform where users can use emojis as hashtags. The more hashtag diversity, especially with more creative hashtags, the more visibility and engagement your posts will receive. 9. Create branded and campaign hashtags. Creating a branded hashtag is a great way to strengthen your brand, campaign, event, or cause’s awareness. Having a branded, or campaign hashtag, can also encourage user-generated content, which your brand can repost on your feeds, or use to measure the effectiveness of your social media campaigns. 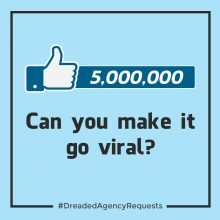 To pull this off successfully, our team suggests launching both paid and organic campaigns to spread the word about the hashtag and to provide an attractive incentive when your audience uses it. For example, we created the #HKMemories hashtag for Honua Kai Resort & Spa for an ongoing brand awareness program. The campaign used both paid and organic social media, print ads, and more to encourage guests to use the hashtag whenever posting their vacation photos to social media. These user-generated photos and videos are regularly reposted to the resort’s social feeds. 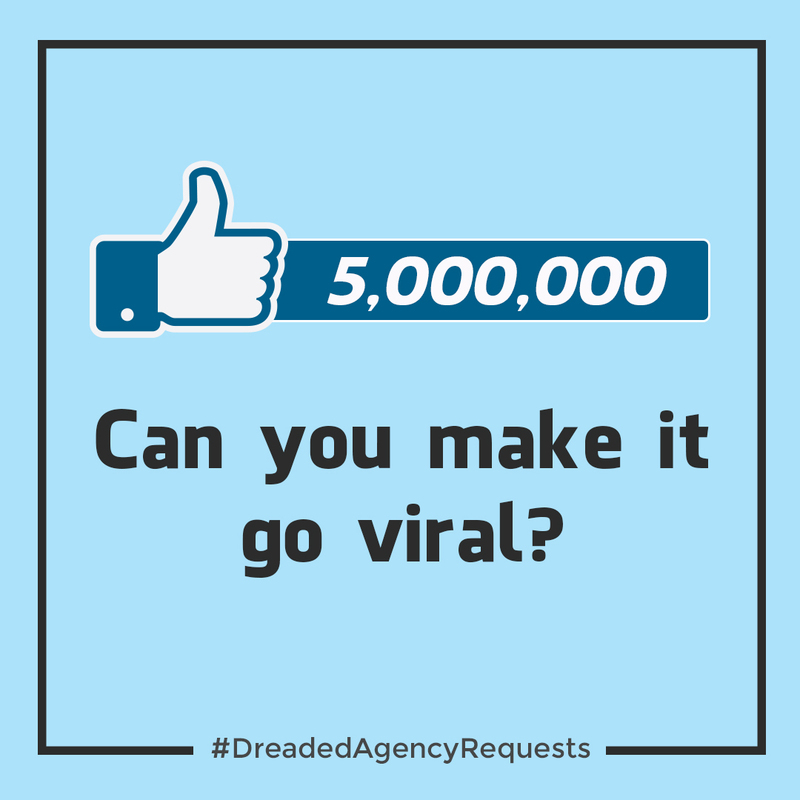 To garner even more awareness of the Team Vision Marketing brand, we developed two organic social media campaign hashtags for our feed: #TeamVisionMarketingTips and #DreadedAgencyRequests. 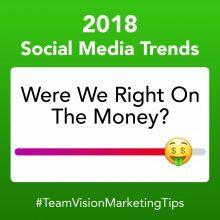 We use the #TeamVisionMarketingTips to boost our educational posts, including our marketing quote series, blog posts, and Hawaii advertising and marketing tips. 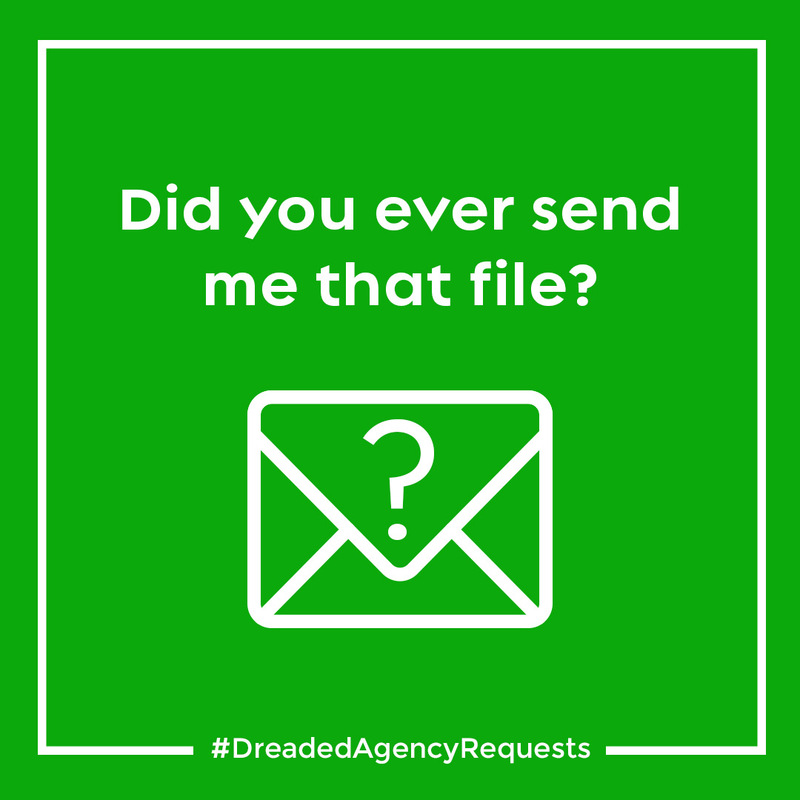 Our most recent social media series, #DreadedAgencyRequests, is a collection of humorous client requests that we have received over our 20 years as a Hawaii Advertising Agency. 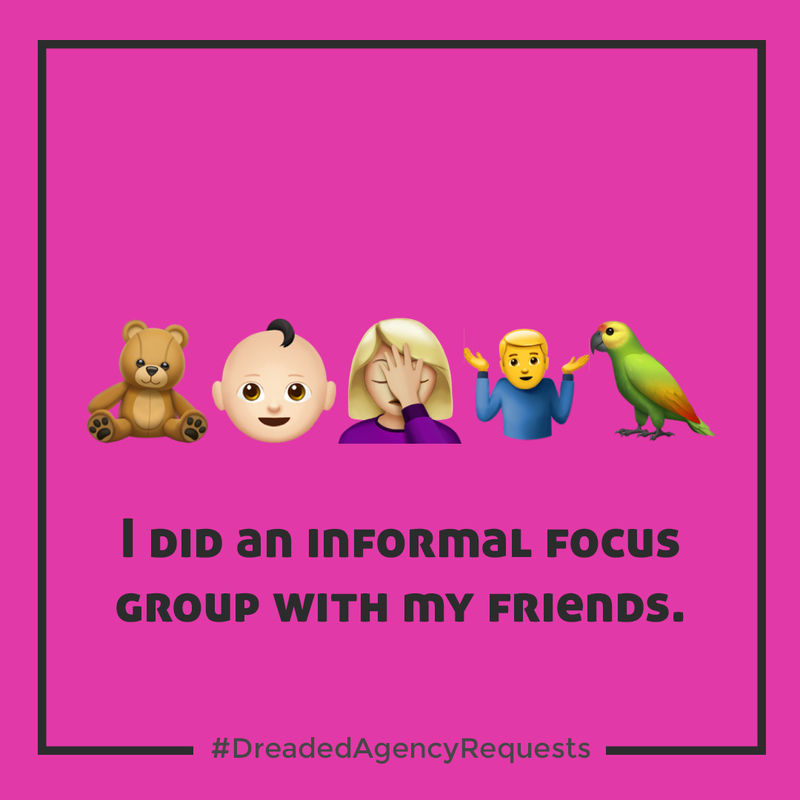 See a roundup of our favorite #DreadedAgencyRequests on Instagram here. These campaign hashtags combined with our organic social media series have helped grow our engagement and following by over 500 New Followers in a 45-day period. 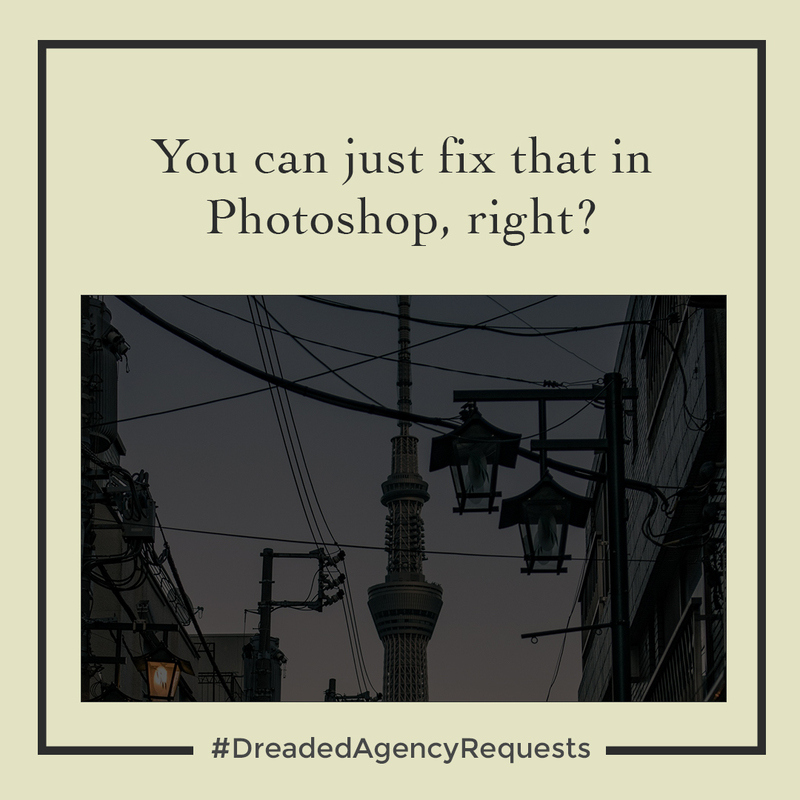 You can find the full campaign for both series on our Instagram page at @teamvisionhi, or you can search for #DreadedAgencyRequests and #TeamVisionMarketing on Instagram or Facebook. 10. Try using engagement-oriented hashtags. Engagement-oriented hashtags incorporate pop-culture phrases, like #ILikeItLikeThat, which is a reference to a chart-topping rap song by Cardi-B. These are great for increasing visibility on posts and for attracting new followers. 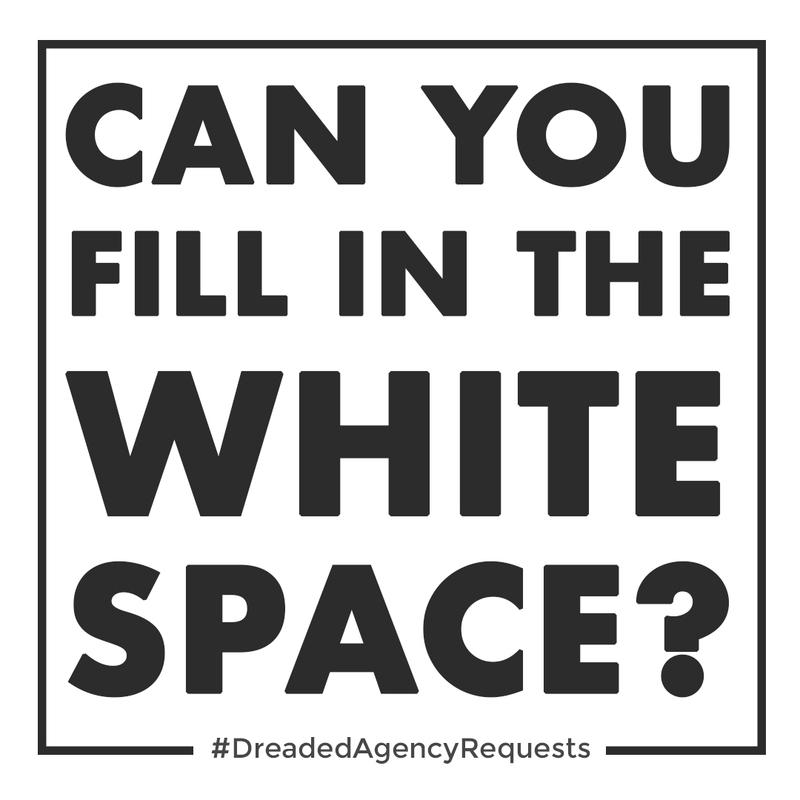 However, our team recommends that any engagement-oriented hashtag your brand uses still be relevant to the post. 2.9 million posts used #TreatYourself. Hashtags are a valuable social media marketing tool – if used correctly. If your brand follows our 2019 social media hashtag tips, your strategy will attract more impressions and post likes, garner more followers, and strengthen your overall brand. If you’re looking for a full-service Hawaii advertising and marketing agency to help you launch creative and engaging social media campaigns, give Team Vision Marketing a call at (808) 536-0416, or send us a message through our Contact page. Listen to Dolly Moreno’s, Director of Sales & Marketing, Honua Kai Resort & Spa, experience working with Team Vision Marketing. What is Remarketing and How Do I Get Started? Hey Google, Why Should We Optimize Our Web Site For Voice Search? Video Advertising is Growing – Are You Making the Shift? 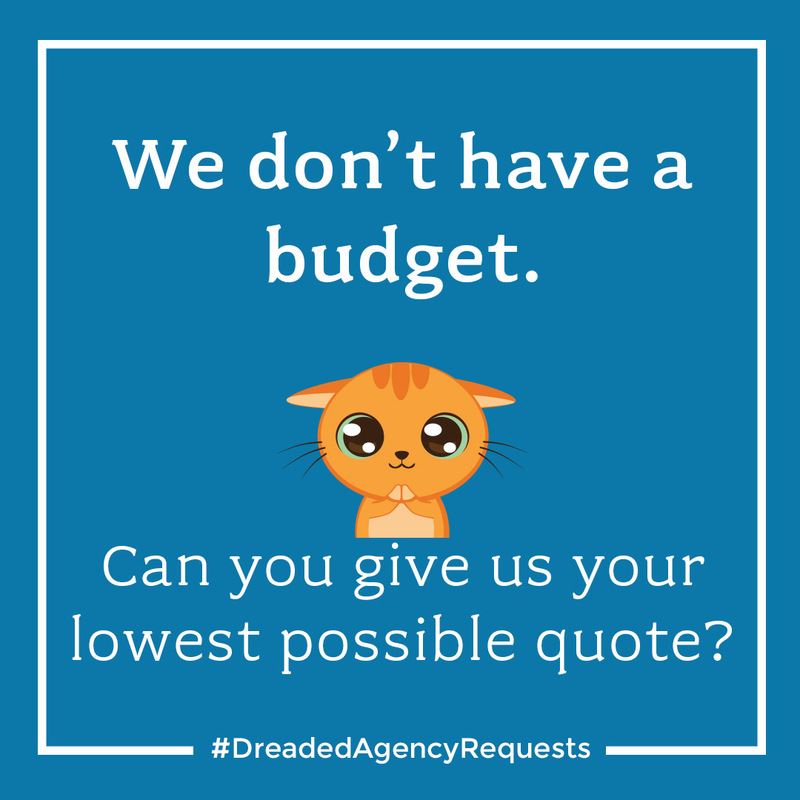 Call Us Today at (808) 536-0416. If you’ve landed on our Hawaii Marketing Tips blog by accident while searching for Team Vision Marketing, please visit our homepage, creative portfolio or client video testimonials. 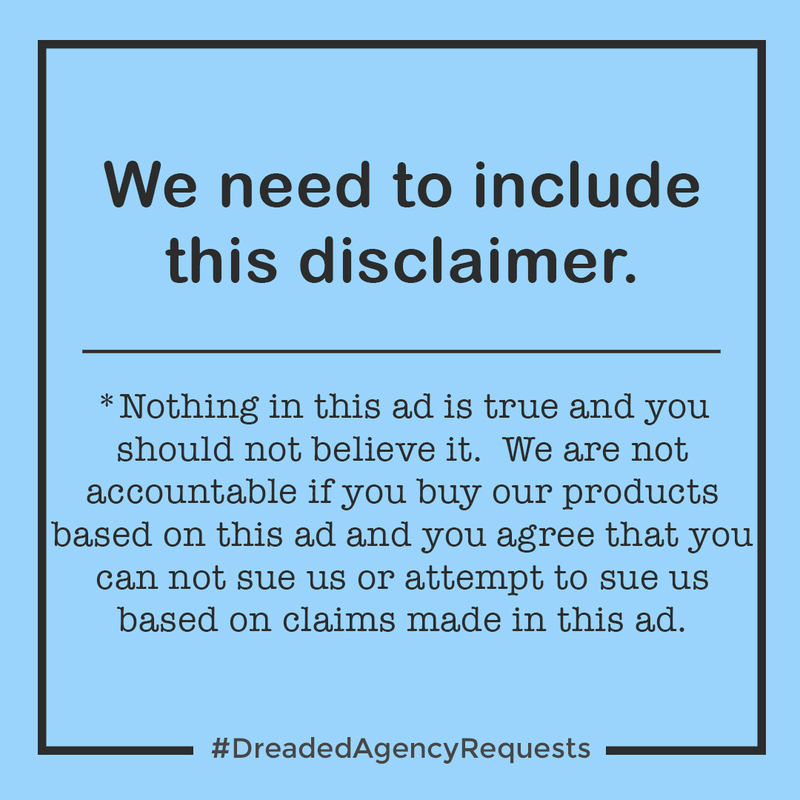 If you’re interested in learning more about IP Targeting Campaigns, please continue reading. IP Targeting – What Is It and Should My Business Use It? If you’re a marketer, you’ve probably heard of IP targeting, but maybe your business or your advertising agency hasn’t yet added it to your marketing mix. This article is designed to give you an overview of what IP targeting is, explain some of the pros and cons, and give you a few examples of how you might use it for your next integrated marketing campaign. What is IP Targeting and IP Advertising? Here’s a quick definition for those of you who might not be familiar with IP Targeting. IP Targeting is the process of targeting digital advertising to specific households, businesses, etc. based on their Internet Protocol (IP) address. An IP address is a string of numbers assigned to your internet connection that allows you to speak with other devices on the Net. How Does IP Targeted Advertising Work? When a user connects to your web site, an IP address is provided for the transaction to take place. 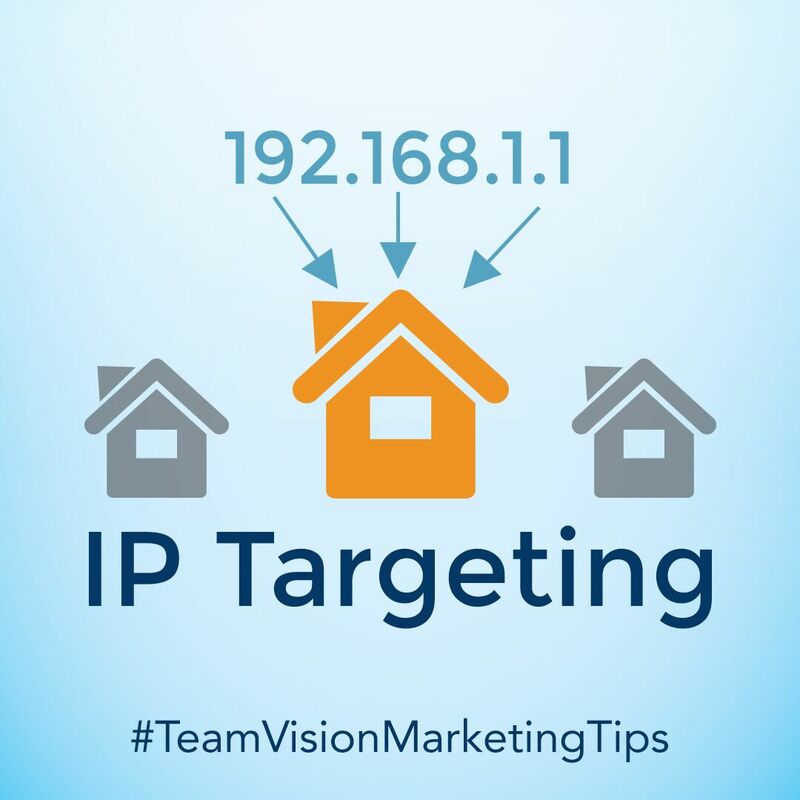 IP targeting captures that IP address, determines the location of that IP address (a home or business), and then matches that IP address against 3rd party databases of personal information. Once that IP address is captured from a web visitor, you can then conduct one-to-one marketing directly with that IP address or person. In addition, if you have customer or prospect lists with physical addresses, you can determine the IP address for homes or business locations on your target list, and then conduct digital advertising campaigns directly to those IP Addresses. Yes, there are privacy restrictions that must be met with IP targeting, but solutions to these issues have been addressed and are in place. What are the benefits of IP Targeting? The benefits of IP targeting over traditional cookie-based targeting is that with IP targeting you can acquire a user’s specific information. 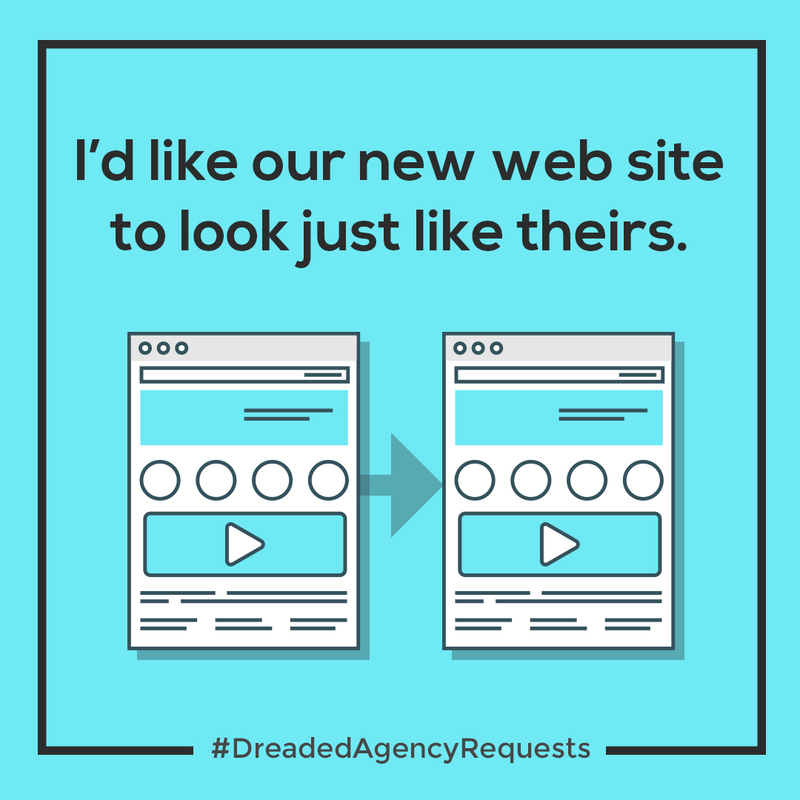 In contrast, with retargeting (or cookie-based targeting) you may never know who the actual end user is unless you get them to register or take action on your web site. To take things one step further, more recent advancements in IP targeting by certain providers now provide the ability to determine the home or business address from a user’s IP address. 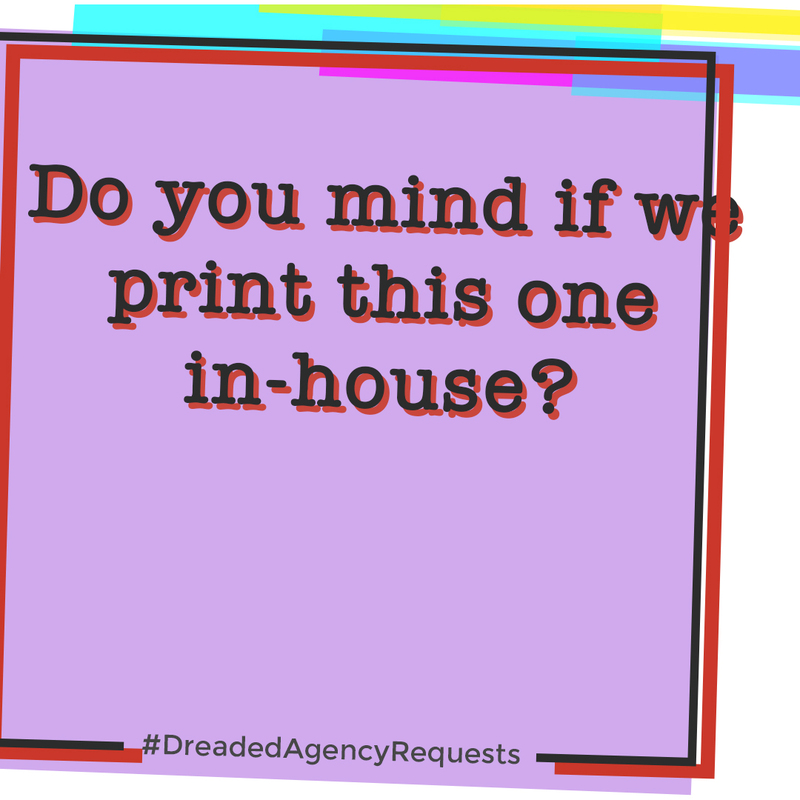 The additional benefit here is that you can then advertise to those prospects via digital marketing as well as printed direct mailers directly to their homes. Here again, there are privacy safeguards in place to protect the end users’ personal information. Retargeting and other forms of digital marketing are based on placing a cookie on each user’s computer. 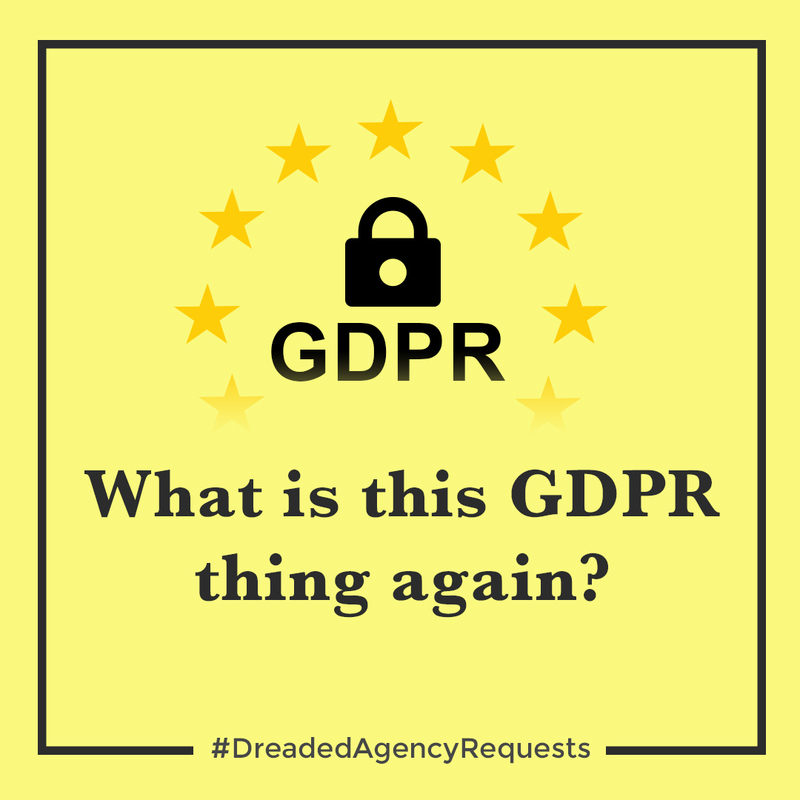 Once a user deletes those cookies from his/her browser, or blocks cookies via their browser settings, you have lost that customer as an advertising prospect until they come back and visit your web site again. This is not the case with IP targeting which does not rely on cookies. Is IP Targeting the Same as Geo-Fencing? First, let’s define geofencing. Geofencing refers to drawing a virtual fence around a location and using a group of IP addresses. Ads inside this virtual boundary can be seen on computers, tablets, or mobile devices by any user within the defined location. Although nearly all forms of location targeting use an IP address somewhere in the process, IP targeting and geo-fence targeting are in fact different – and each offers unique advantages. IP targeting is often seen as superior to geo-fencing because it uses an individual IP address versus geofencing which uses a group of IP addresses within specific geographic locations. The best way to explain the benefits of each method is through examples. Let’s say you own a refrigerator rental company and you want to target ads to students within the local university. Well, many universities share a web login with a single IP address with all registered students. Once you obtain that address, you could then target your ads to all the students’ devices that have accessed that university web site or wi-fi. For this scenario, you could also use geo-fencing as a strategy, but you would experience more advertising waste because your ads will not only reach students (your desired target audience), you will reach everyone who is within the university location geo-fence (including teachers, parents, friends, staff, delivery people, commuter traffic, tourist, etc.). Let’s say you own a visitor attraction, like our Dole Plantation client in Hawaii, and you want to target specific offers to all customers who are currently on your property. Since it’s likely that the majority of the people on the property are visitors, the best strategy to use here would be to create a geo-fence around the property and target people within that geofence. We currently do this using Dole Plantation Snapchat filters which can only be accessed via Snapchat on users’ mobile devices who are currently at the Dole Plantation location. For this example, let’s say you own a popular Hawaii real estate marketing web site and you want to send a print direct mailer to all people who visit a specific page on your web site, but you don’t want to require customers to complete a subscribe form. The best way to do this would be via IP targeting. 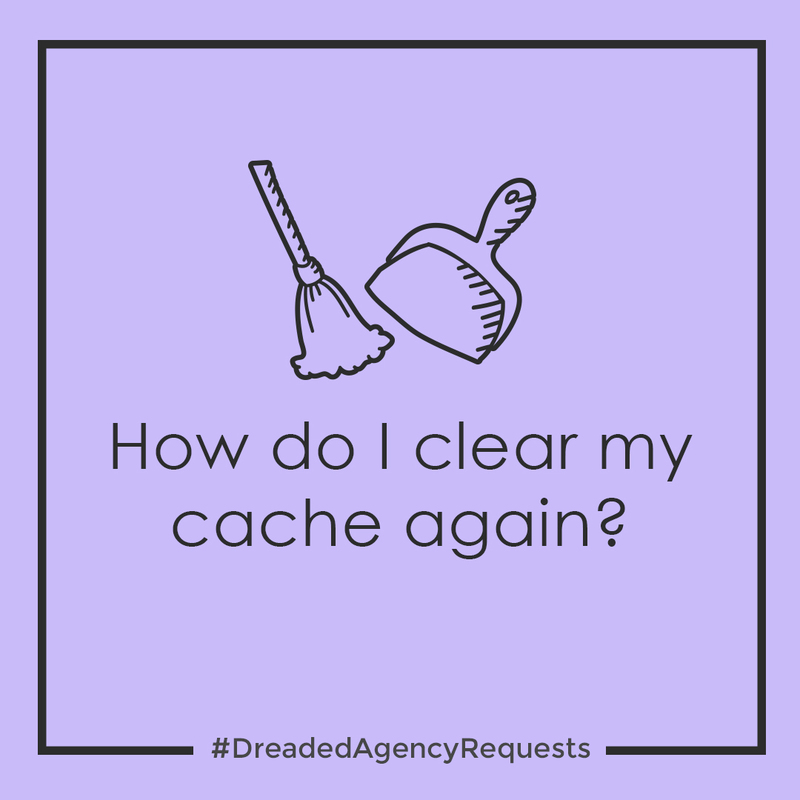 Under this scenario, when a user visits your web site, their IP address is obtained and then cross referenced against 3rd party databases to acquire the user’s physical address and any other available information. In addition to targeting this user with digital advertising, you can also use their mailing address to send a highly targeted direct mailer to their home for a more integrated, and higher converting, marketing approach. 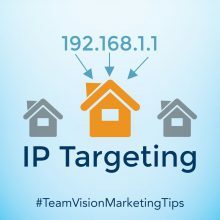 It’s important to note in this scenario, matching IP addresses back to physical addresses is not 100% accurate (estimates range between 50-70% accuracy), but since you only pay for successes and actual direct mail pieces sent, it is still a highly effective strategy when integrated within your overall marketing strategy. This is a popular use case scenario currently being utilized by Colleges and Universities that use IP targeting to attract potential new students. These schools are able to target households where qualified, college-aged students are living with their parents. 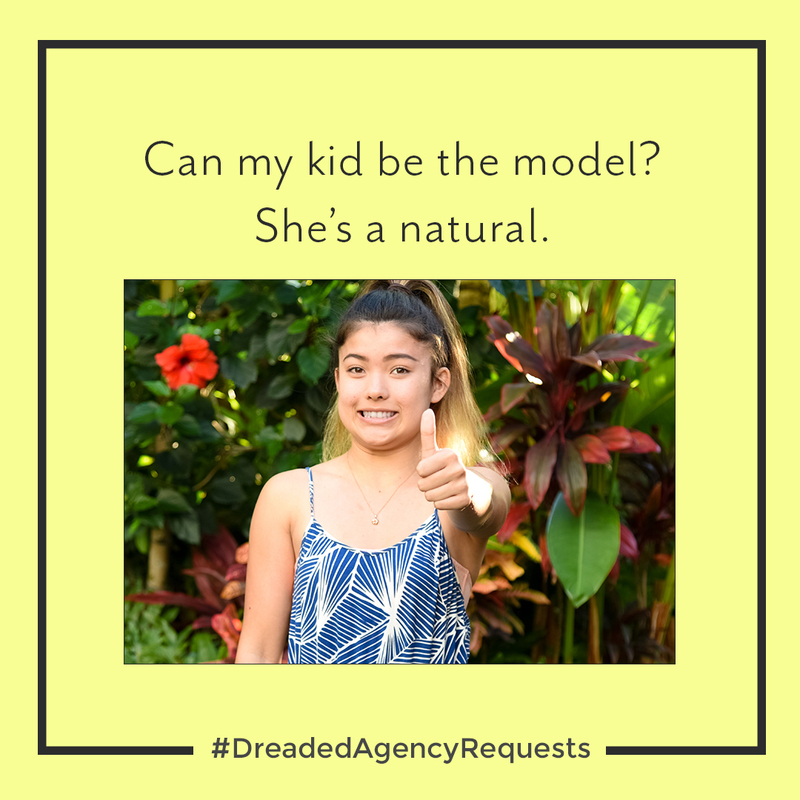 Because the address is normally a household IP, the campaign will reach both the parents and the student which is very effective because parents are nearly always involved in their child’s college selection process. Conversely, if you simply used a geo-fence strategy to target an entire zip code or neighborhood, you would waste advertising dollars by reaching a lot of households with no college-aged children, or no children at all. Are There Issues with IP Targeting? Just as geofencing, retargeting and other forms of digital marketing are not perfect and have their unique set of issues such as automated bots using up valuable advertising clicks, IP targeting also has some unique challenges, and that is why we always recommend a balanced integrated marketing approach for our clients. Here are just a couple of well-known issues of IP targeting. Dynamic IP Addresses. Some users have what are called dynamic (or changing) IP addresses versus fixed IP addresses. This means that each time they connect to the Internet, their IP address is different. For an advertiser targeting a person through IP targeting, once that user’s IP address changes, that prospect just became a different person. Router Complications. In some cases, people in a public location (i.e. Starbucks) access the Internet through a shared wi-fi service using the same IP address, the IP address the router uses to connect to the internet. Once those people leave that location and reconnect to another wireless device, their IP address changes again. This is why it’s best to target specific households or businesses where IP addresses tend to remain fixed. How do I go get started with IP Targeted Advertising? The best way to get started is with your existing database of prospects or customers. The home addresses can be used to find the IP addresses for households or business on your list, and then you’re ready to create targeted digital ads that can be deployed to this group via their computers, phones and tablets that access the internet via the IP you are targeting. If you don’t have a specific target list, you can purchase lists from list providers, and you can also target IP addresses by a number of other criteria such as business locations, household zip codes, event venues and more. One of the great benefits of IP Targeting campaigns is the ability to track conversions back to a specific customer and campaign. For example, in an IP targeting campaign, you normally will have the customer’s physical address on file. After an IP Targeting campaign is completed, we can take the purchaser list and compare it against the IP Target list to determine exactly which customers purchased who originated from a specific IP Targeting campaign. This helps our clients more confidently calculate accurate sales numbers and ROI. If you’re interested in exploring an IP Targeting campaign for your business, please contact us at (808) 536-0416, or via our contact form. This is the blog of Team Vision Marketing, a full-service advertising and marketing agency located in Honolulu, Hawaii and serving clients on Oahu, Maui, Kauai and the Big Island of Hawaii. Hear from Bruce Barrett, VP of Sales & Marketing at Castle & Cooke Hawaii, on his experience working with Team Vision Marketing. 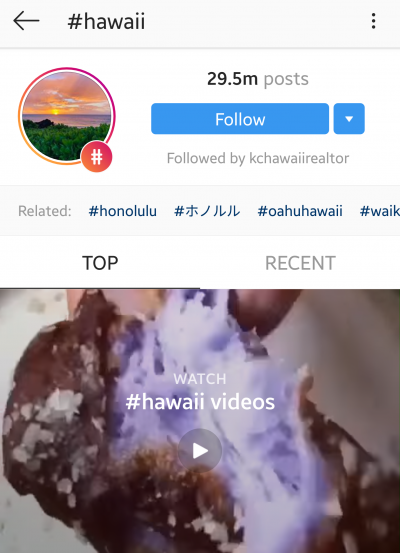 In 2018, we suggested that Hawaii brands try out these four social media trends: Stories, Transparency, A.I. and Chatbots, and Videos and Live Streaming. Now it’s time to check-in to see if these trends lived up to the hype in 2018 and what their future looks like for 2019. Need help executing high-quality marketing campaigns that utilize the latest trends to achieve your business goals? Send us an email at info@teamvision.com or give us a call at (808) 536-0416. 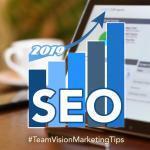 Did you land on our Hawaii Marketing Tips blog by accident while searching for Team Vision Marketing? Please visit our homepage, creative portfolio or client video testimonials. 2018: Stories include photo or video content that is only available for 24 hours and they are quickly growing in popularity. This type of content is versatile; the possibilities of content are endless. Brands have been using stories for branding, promoting, and advertising. The following infographic, compiled by story-experience producer Fastory, shows the popularity growth of stories. Read more on Rise of the Story Format. The Verdict: 2018 was a major win for the story format. The Stories trend continues to be victorious! EMarketer reported that 400 million people used Instagram Stories, 450 million use What’s App Stories (owned by Facebook), 300 million used Facebook Stories, and 186 million used SnapChat Stories. In fact, its wild success got Mark Zuckerberg, Facebook’s CEO, to claim that stories will eventually be bigger than the News Feed. Many other prominent brands, such as Facebook, Vogue, Microsoft, and Deutsche Bank, recognize the influence and see a strong future for this new content and ad placement medium. So, what’s next for Stories? SocialMediaToday.com reports that Instagram is currently testing a new Stories feature where users can ask their followers to donate to their favorite charities. Another new Story feature in the works, as reported by Mashable.com, will give Netflix users the ability to share what they’re watching on the Netflix app to their Instagram Stories. This means that brands could possibly have another organic way to interact with the story format beyond posting on stories or buying ads. 2018: One of the greatest (and sometimes worst) things about being on social media is how quick news spreads. One tweet or post can go viral, and with this political climate, people are feeling more empowered to voice their opinions. Audiences are demanding change, transparency, and advocating for social justice (i.e. #MeToo and #MarchForOurLives). Statistics provided by Social Sprout. The Verdict: Transparency is evolving and the public want brands to be more transparent. Last year, Facebook made some major changes in the social media’s platform algorithms and security measures after sitting on the hot seat before the public and court. CVS is debuting a new social campaign where consumers are encouraged to upload their own unaltered photos under #beautyunaltered to social media for the chance to have them displayed on the brand’s Times Square billboard. As part of the effort, CVS partnered with lifestyle influencers Sara and Erin Foster on a new Beauty Mark t-shirt; proceeds will support nonprofit Girls Inc.
An increasing amount of celebrities and social media influencers are pledging to improve the way they declare sponsored posts and endorsing goods. Although extra transparency actions taken by Facebook and other brands are appreciated, there is still so much room for improvement. Jen Wong, COO of Reddit, says, “There’s going to be a much longer arc [in 2019] around this movement around data transparency and management.” According to a Sprout Social report, topics consumers want brands to be more transparent on business operations, marketing, policy changes, and business values. For 2019, brands have two challenges to overcome: 1) Go deeper in their transparency and 2) Create new, engaging ways to address public issues as big as scandals to individual complaints on products and services other than press releases and replies in the comment section. 2018: To help effectively communicate with consumers, more brands are using chatbots or A.I. programs to increase positive experiences, handle customer service, complete purchases, or to provide more information about a product or service. According to CMO by Adobe, 72% of business leaders agree that A.I. can provide a fundamental business advantage. These bots can help your brand identify business issues, compile data, and target audiences with your posts better. Read more A.I. statistics from CMO by Adobe. The Verdict: How did we live without AI? The growth in AI usage is undeniable. According to Hootsuite, the International Data Centre reported that worldwide spending on AI solutions will increase more than 22.1% from January 2017 – that’s $103 billion. In 2018, Salesforce’s State of Marketing reported that 52% of consumers are more inclined to change brands if a company doesn’t offer personalized communication. The future for AI Marketing in 2019 is to incorporate it into personalized marketing strategies to form a deeper relationship with their consumers. Big names, such as Digital North America, Reddit, Unilever, and Clorox, say that data marketing, data-driven marketing, AI, and personalized marketing is the future. 2018: Live streaming and videos are quickly becoming an important tool to communicate and market your brand. They add authenticity, keep your audience engaged, and can get your audience talking about your brand. Video also entertains and can help influence purchases. Check out Team Vision’s video work. Read more video and live streaming tips. The Verdict: The stats don’t lie! Make 2019 the year you start video marketing. Facebook reported that daily watch time for Facebook Live broadcasts grew four times over the course of a year. 71% of people have increased their online video viewing and 60 percent expect to watch more social video next year. People gaze five times longer at video than at static posts on Facebook. Since Live videos standardly receive six times as many interactions as regular videos, they rank higher in the newsfeed. If you’re looking for help with your Hawaii Social Media Marketing, give Team Vision Marketing a call at (808) 536-0416, or check out samples of our social media work in our extensive online marketing portfolio at www.teamvision.com/portfolio. To read more about social media marketing tips, please check out and subscribe to our Hawaii Marketing Tips Blog. Hear from Dolly Moreno, Director of Sales & Marketing, Honua Kai Resort & Spa, on her experience working with Team Vision Marketing. If you’ve landed on our Hawaii Marketing Tips blog by accident while searching for Team Vision Marketing, please visit our homepage, creative portfolio or client video testimonials to learn more. 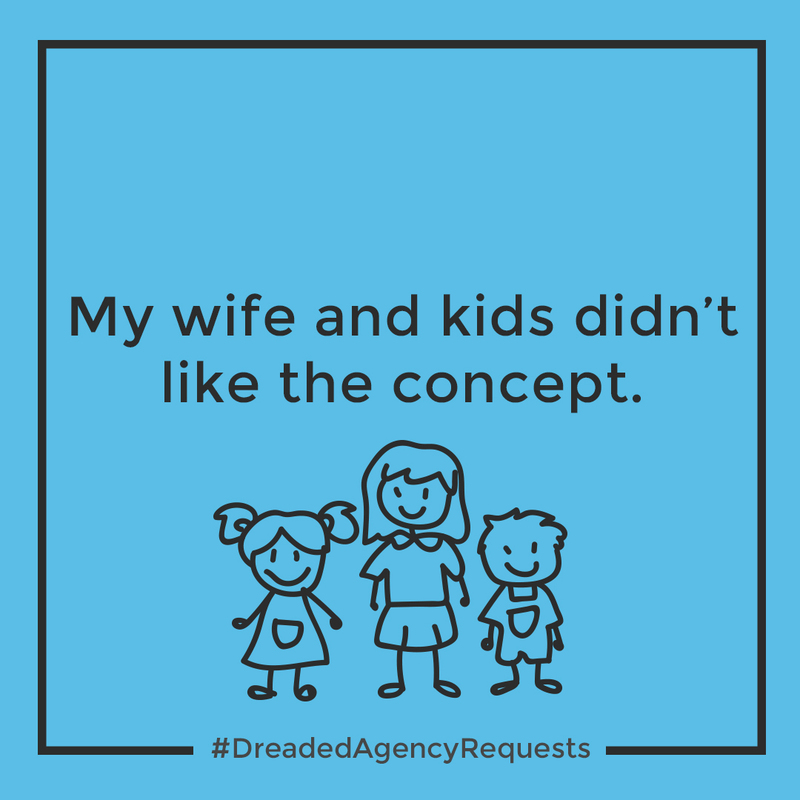 Team Vision Marketing has been in business in Hawaii for over 20 years, and during that time we’ve received some humorous ad agency requests. 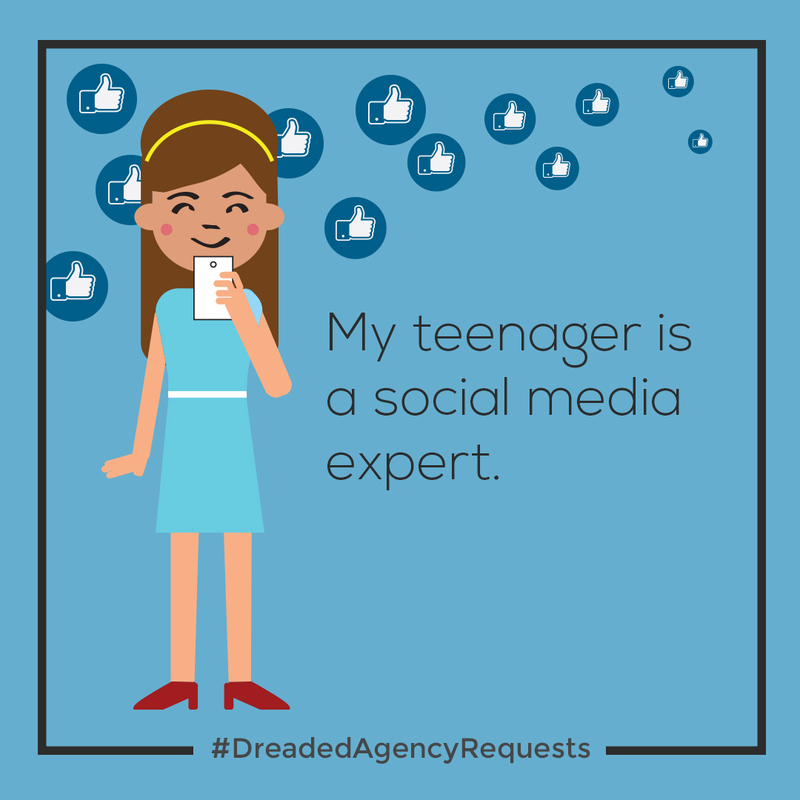 Just for fun, we developed a social media campaign consisting of a series of the best of those requests. 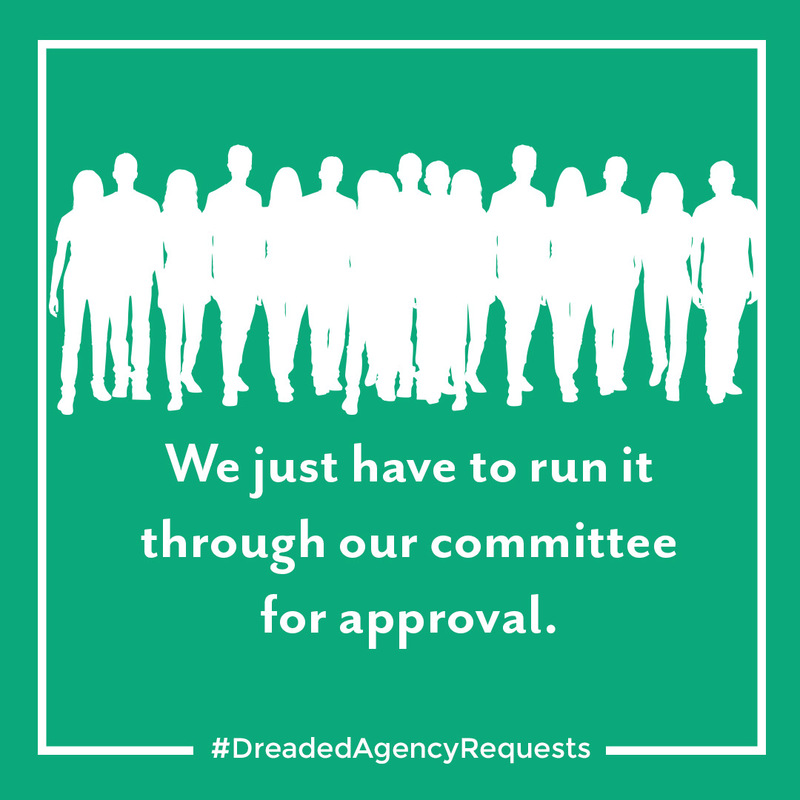 You can find the full campaign series on our Instagram page at @teamvisionhi, or you can search for #DreadedAgencyRequests on Instagram or Facebook. Here are a few of our favorites that you can scroll through below. 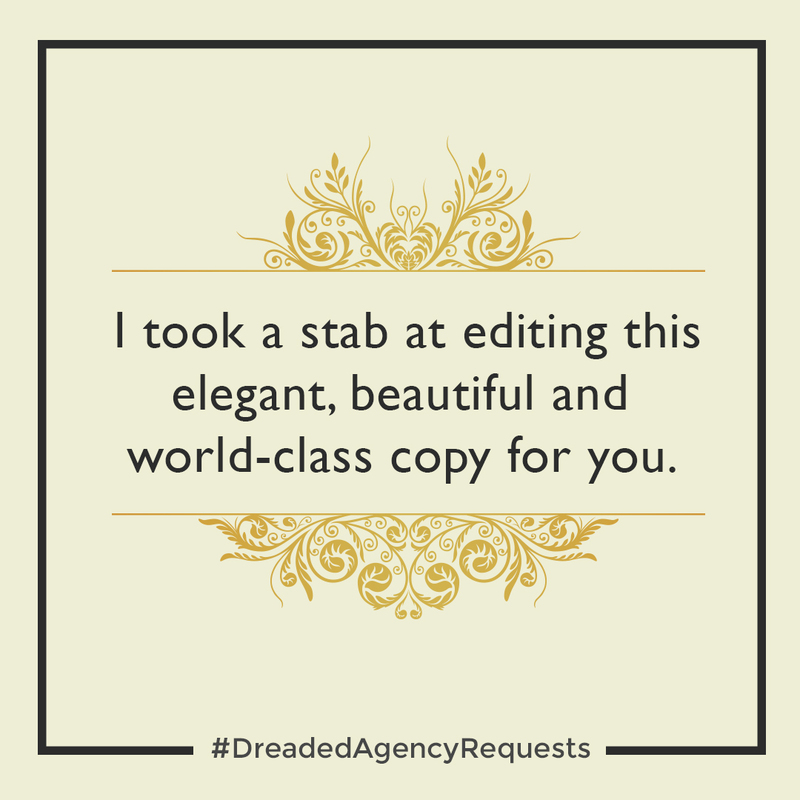 For many of these #DreadedAgencyRequests, the captions in the social media posts take the humor to another level. Please visit our Instagram page at @teamvisionhi (on the app) or www.instagram.com/teamvisionhi to view the full series. 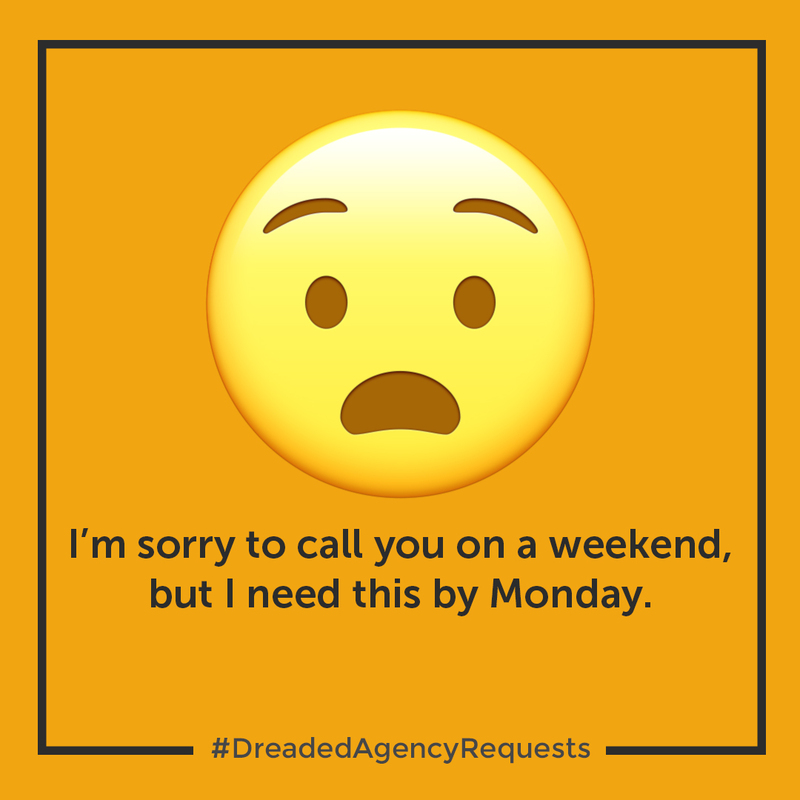 And please make sure to Follow Us on Instagram to receive our future #DreadedAgencyRequests posts. 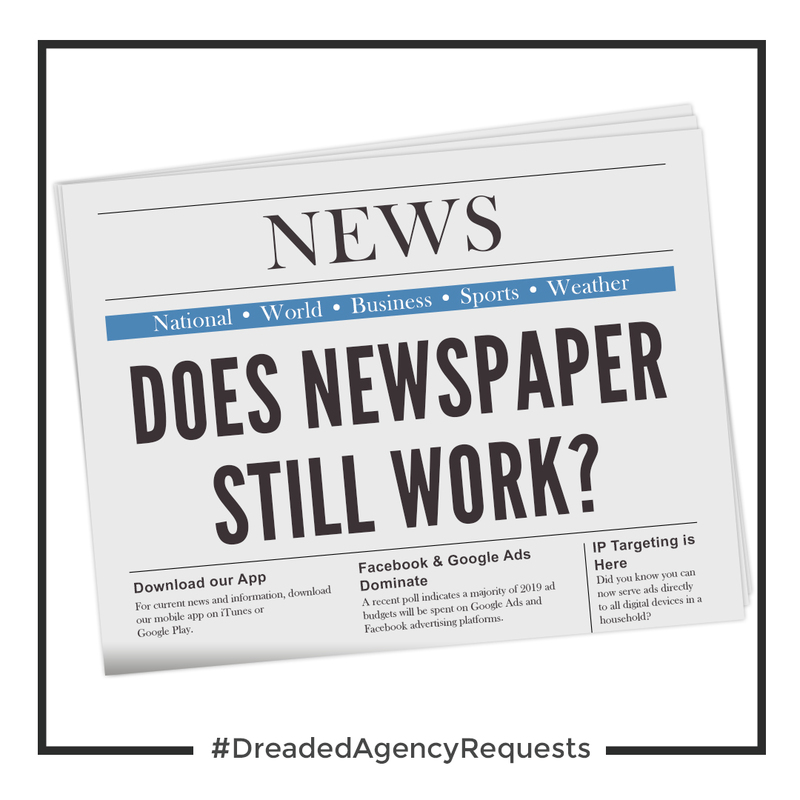 If you’re interested in learning more about our full-service advertising agency and social media marketing services, please contact us at (808) 536-0416, or via our contact form. If you’ve landed on our Hawaii Marketing Tips blog by accident while searching for Team Vision Marketing, please visit our homepage, creative portfolio or client video testimonials. 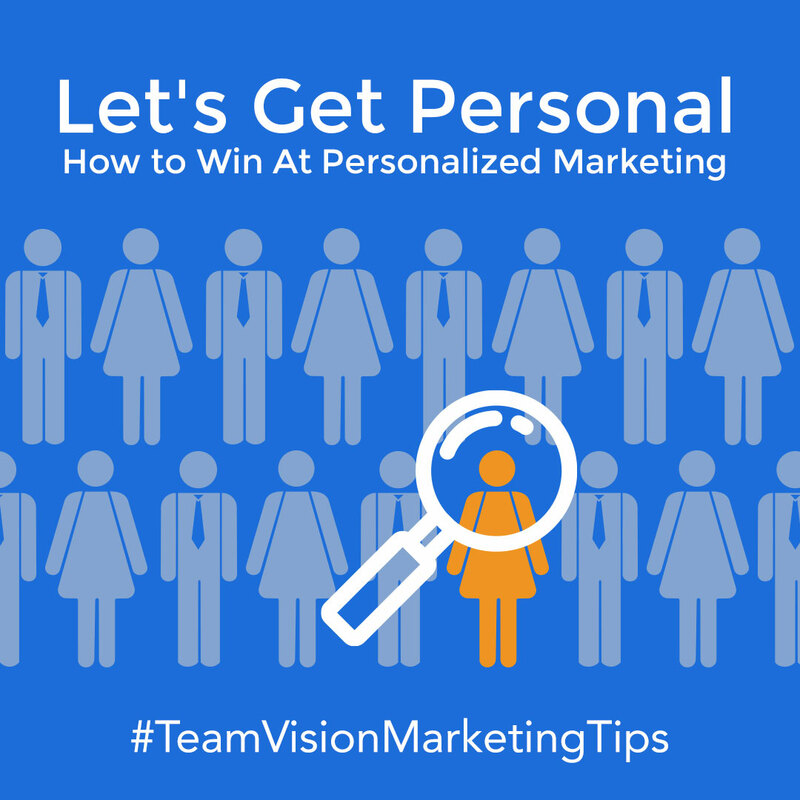 If you’re interested in learning more about Personalized Marketing, please continue reading. How sweet is it when brands remember your birthday or curate suggested items that are complementary to your taste? It’s as if the brands really know you and really go the extra mile to give you great customer service. This level of VIP treatment can be accomplished by personalized marketing, a very important branding tool. Today, brands are constantly seeking out technologies and strategies to efficiently pursue a deeper relationship with their consumers and increase brand awareness by personalizing their brand experience. For a lot of local Hawaii businesses, it is almost impossible and highly impractical to execute a well thought out personalized marketing strategies without the aid of Artificial Intelligent (AI) technology or the help of a competent advertising and marketing agency. Personalized marketing and using AI technology is tricky because it can easily give an impression of a brand being invasive or annoying to your consumers. To guide you, here are some recommended personalized marketing strategies for you to try out in 2019. If you need help in setting up these personalized marketing strategies into your 2019 marketing plan, give Team Vision a call at (808) 536-0416. But What Is Personalized Marketing? Personalized marketing is any marketing strategy or campaign that goes into a personal level with your consumers. The main goal of personalized marketing is to convert your consumers into brand loyalists. This is vital to branding your business. It’s believed that personalizing marketing strategies will make each individual feel extra special and form a deeper connection between consumers and your brand, despite the fact that thousands of other people received the same messaging. What Role Does AI Technology Play In Personalized Marketing? AI is one of today’s best marketing tools. When combining data analysis and AI, brands can deliver curated messages and other marketing materials based on customer data. AI commands high interest and investment from businesses around the world. A 2018 PwC survey reports that 27% of companies around the world use AI technology, and 20% more plan to utilize it later in 2019. Recent predictions foresee that companies worldwide will spend $11.45 billion on AI technology. The more information collected, the more you understand your consumer. This will help you develop and target your personalized marketing more efficiently and accurately. Segmenting the data into groups helps brands identify not only who to they can direct their personal marketing strategies to, but what type of information they prefer to receive. Create Automated Follow-Ups Or Reminders. Local businesses can send an automated follow-up after consumer registration, an event, purchase, or delivery. While, Hawaii service-based industries, such as doctors or hair salons, can send automated reminders for upcoming appointments. This strategy is ideal for encouraging repeat purchases, maintaining good customer service, creating a following, and engaging with audiences. This can also remedy the abandoned cart issue. 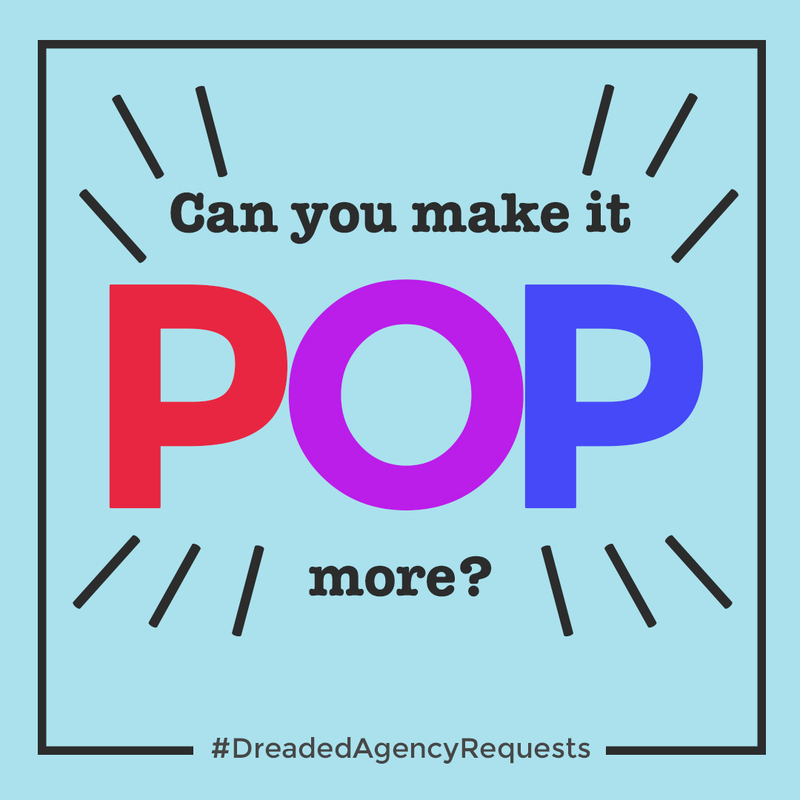 Brands can either send a soft follow-up or offer an incentive to encourage their audience to complete their purchase. Check-In And Ask For Feedback On Your Products And Services. We recommend offering an incentive to encourage participation. For example, participants can receive 10% off their next purchase if they complete a short survey on their latest purchase. Create Personalized Emails And Enewsletters. This strategy might include emailing reminders for restocking products, sending educational materials, etc. Personalized emails are great for encouraging monthly subscriptions and ensuring that you’re giving great customer service. Take this opportunity to expand your brand’s awareness by educating your consumers on your products or services. Show your audience how you stand out from your competition and why you are the best choice for their future purchases and orders. Personalize The Opt-in and Opt-out Options. 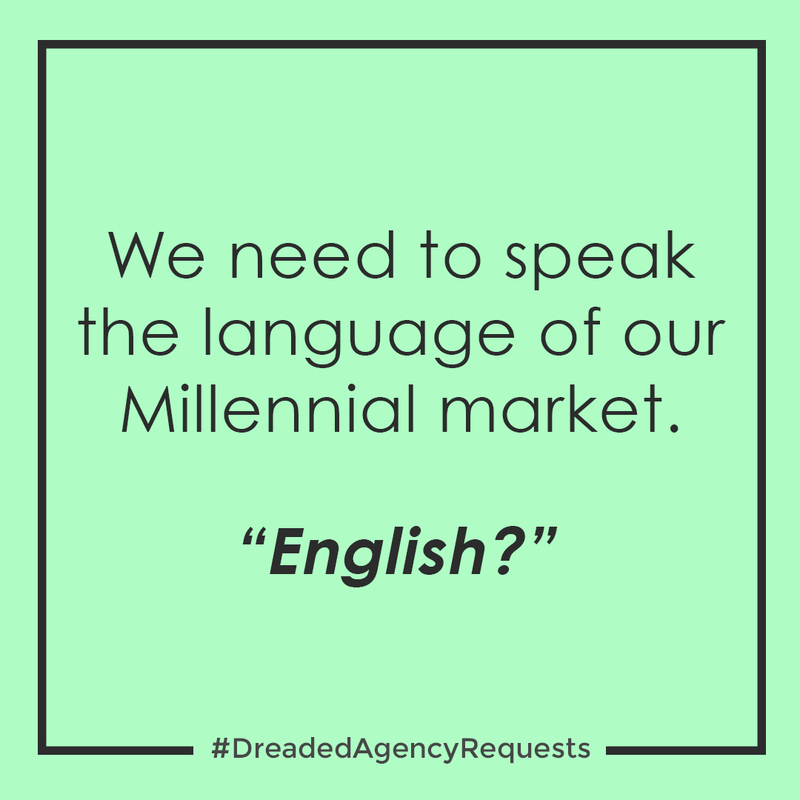 Let the consumers decide the frequency and the type of marketing materials they will receive. It makes them feel more in control and gives insightful information on what materials your consumers prefer to receive. Most importantly, your brand won’t be a nuisance to the consumer. Marketing is now all about tailored experiences. Let your consumers explore the product, service, or your brand on their own terms with impressive functions, such as an interactive site map or a tutorial. Curate Or Cater Marketing Strategies Based On Consumer Data. After collecting consumer data, either through surveys or past purchases, organize your consumers into databases. Then, create marketing materials specifically for each database. Consumers might appreciate this because it saves them time from browsing or, discover new products or services. For our client, Castle & Cooke Hawaii, we designed and programmed their Web Advantage Program (WAP), which logs registered prospective buyers into databases in exchange for exclusive benefits, such as information on upcoming real estate projects. During the WAP registration, prospective buyers are required to answer engaging questions in our quick questionnaire. Based on the results of their questionnaire, the program segment the prospective buyers into databases based on when they expect to be buying a home if they have a family, or what community are they interested in learning more about. The WAP program databases help our team create the best marketing programs and target the best people for them. Remembering Birthdays, Anniversaries, And Other Celebratory Occasions. This is an extra bonus, but when companies like Sephora, wish you a “happy birthday” or offer a free sample or a birthday discount as a gift, anyone would feel special. 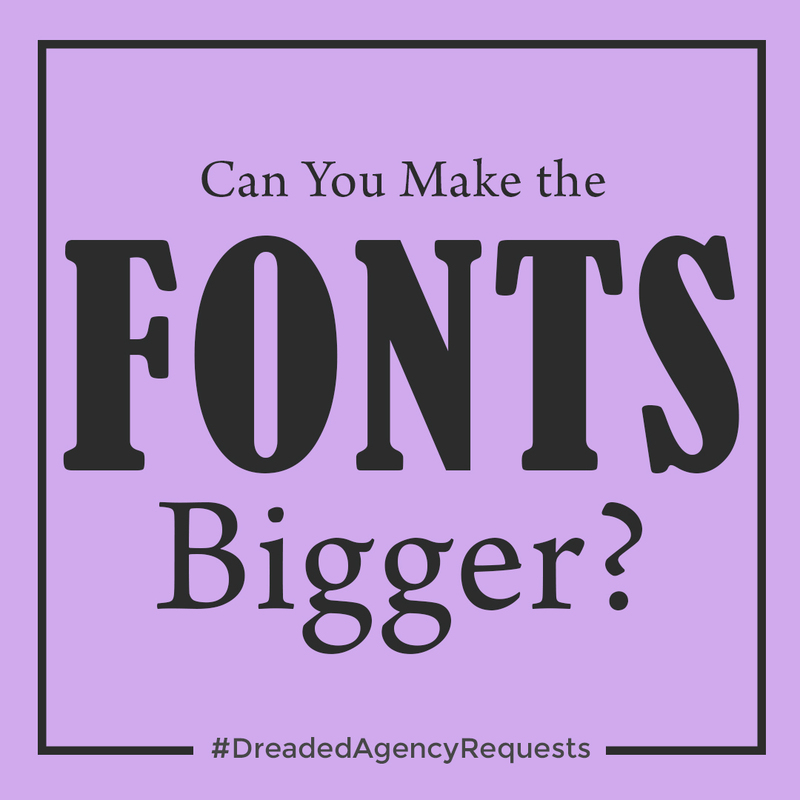 Put more effort into the messaging and make it sound more relaxed and casual than corporate. Make it enjoyable and easy to understand. Make The Questions On Your Surveys And Questionnaires Short And Sweet. Instead of having your consumers fill out 100 questions, take it apart into 10 or even fewer questions and send it periodically. Consider writing concise questions and simplify the selection of answers with pictures, provide a rating scale, or create multiple choice answers. Get Creative And Make It Fun. Design something engaging to encourage participation. Give the questionnaire a theme or create a “personality” quiz. Check out BuzzFeed quizzes for inspiration. Don’t Go Full Out On AI Tech. It’s important to add actual human elements. This is especially true for customer services. Customer services can use AI to help the consumer find the right department to talk to and collect data on what the brand needs to improve on. In order to efficiently pursue a deeper relationship with their consumers in today’s market, local Hawaii brands need to invest their efforts into incorporating personalized marketing strategies into their new year’s marketing plan. AI technology and the help of an accomplished advertising and marketing agency, like Team Vision Marketing, can offer a simplified, smooth execution. To help you set up and recommend the best personalized marketing strategies or AI technology, reach out to Team Vision. We are more than happy to help you with all your marketing needs. Team Vision Marketing has been serving local brands from O’ahu, Maui, the Big Island, and Kaua’i for over 20 years – check our past creative works in our portfolio. Then, subscribe to our marketing tips blog to stay up to date on today’s advertising and marketing trends. Listen to what Harry A. Saunders, President of Castle & Cooke Hawaii, has to say on his experience working with Team Vision.